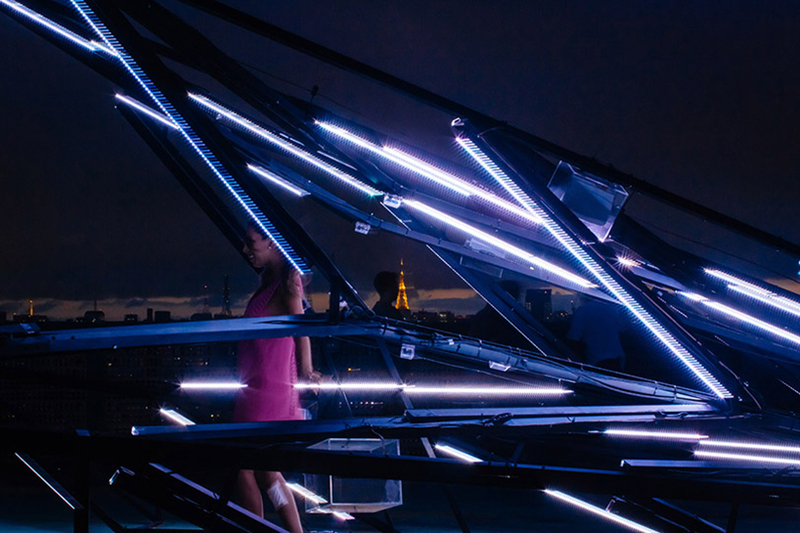 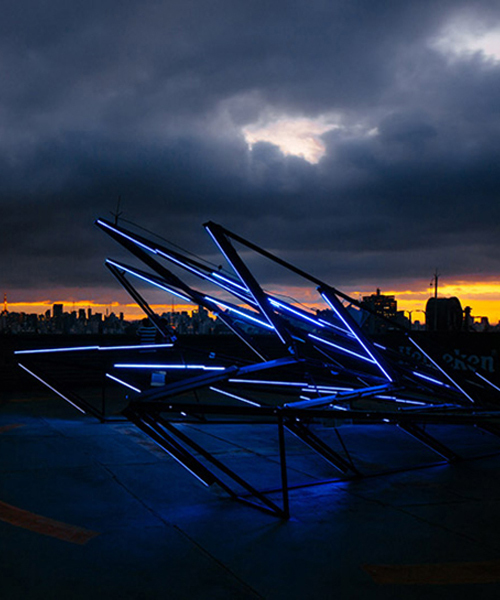 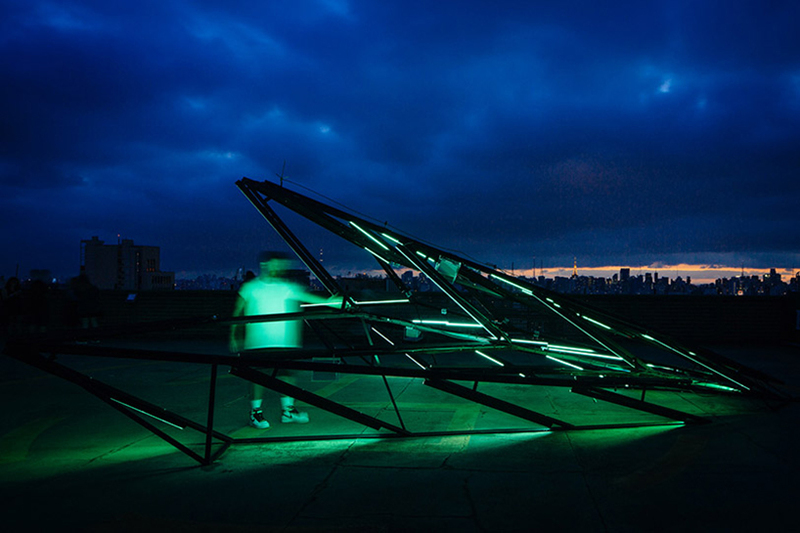 local-based practice studio guto requena was commissioned to create an interactive installation and a set design for the 2016 edition of ‘heineken up on the roof’, inviting the audience to have a new perspective of são paulo. 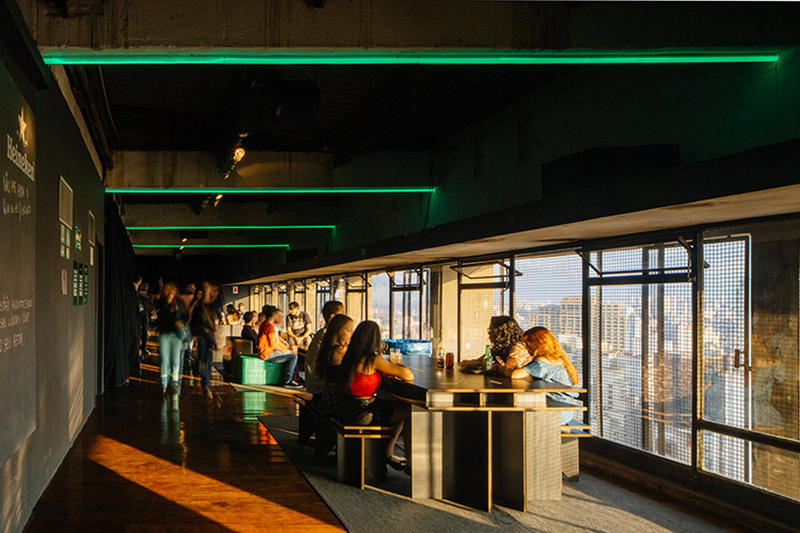 to do so they chose a rooftop located on one brazil’s tallest buildings as their location, the ‘mirante do vale’, constructed in 1966 under the authorship of waldomiro zarzur and aron kogan. 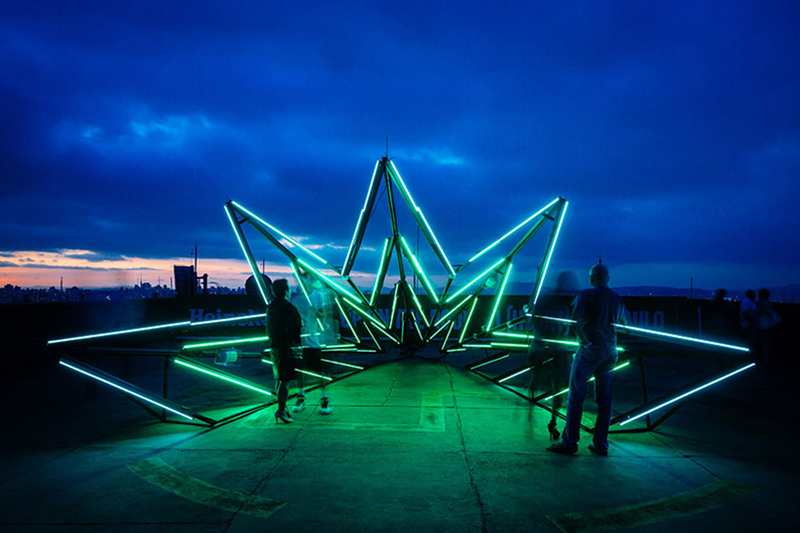 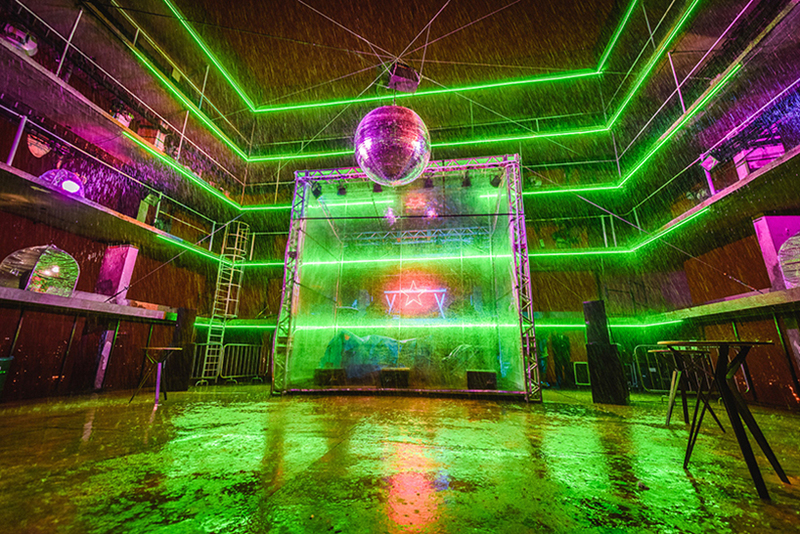 abandoned for almost three decades, the rooftop was transformed into a large lounge with a covered bar, an outdoor dance floor overlooking the city, and an interactive installation entitled ‘sensitive star’ on the helipad. 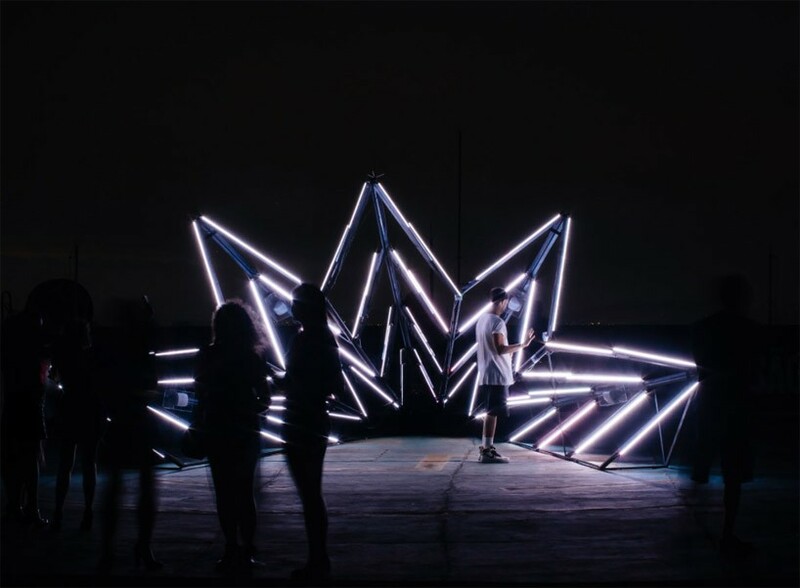 this star-shaped piece reacts to the stimuli of moving people through a group of sensors and responds by changing its lights and sounds. 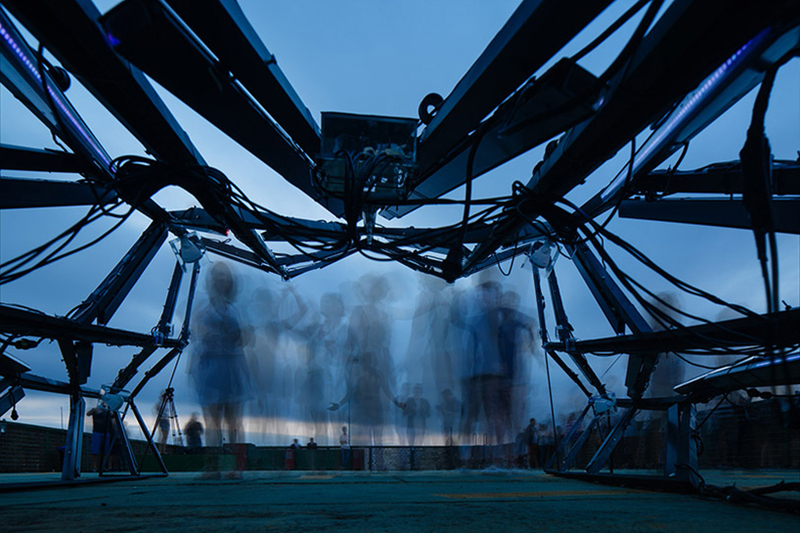 as a larger-than-life musical instrument, it is set to take the visitor’s body movements, mixing them with a soundscape made from a collection of sounds from the streets, traffic, markets and the monastery of são bento. 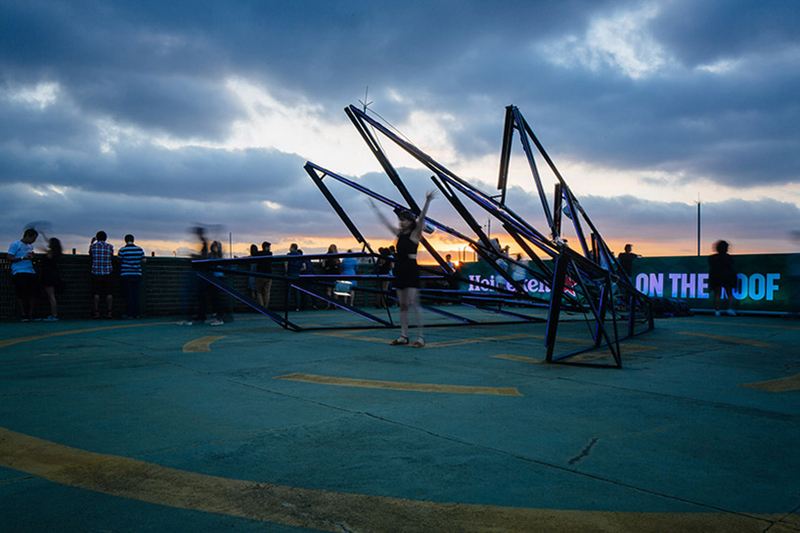 a furniture series called ‘mirante’ was specially designed for the event, referencing the building itself and its modernist architecture. 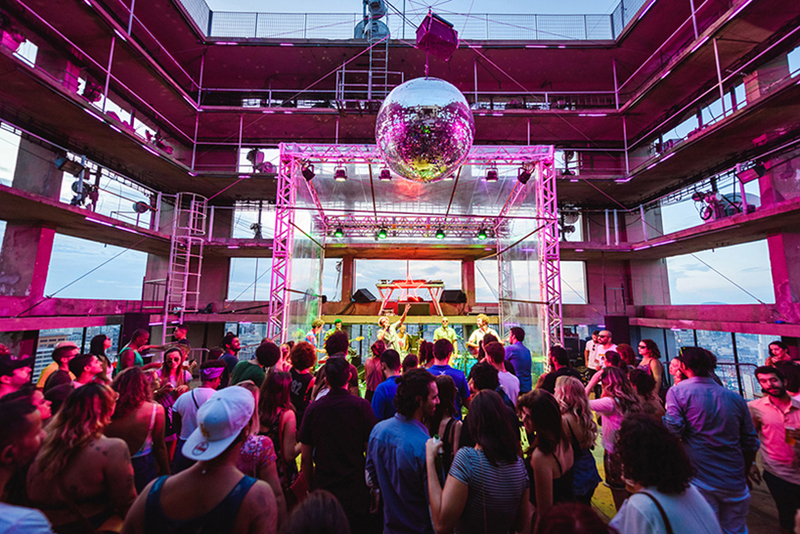 the design’s MDF plates express the concrete lines of space and serve as a bar and home furnishings. 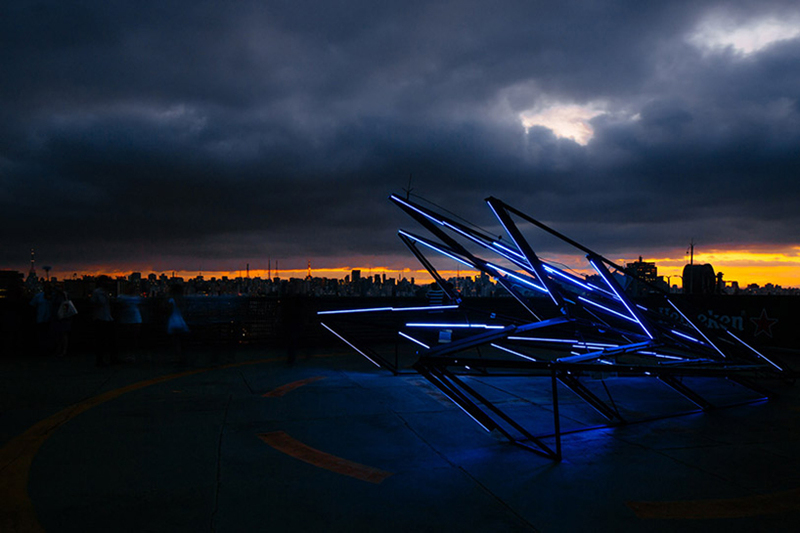 the collection was published in open source design (copyleft) so that anyone can download the technical files and reproduce them freely.